For those who have followed my blogs, you know how much I love wine and enjoy the story behind the wine. Sometimes the story is better than the wine. A few years back, I shared my thoughts on the wine and some of the story behind the Wente Vineyards from Livermore Valley California. It’s a great story that dates back to the mid 1800’s when a young German immigrant, Carl H. Wente, made his way to California and went to work for the established vintner Charles Krug in Napa Valley. This first generation Wente learned his trade, from the back braking work ‘farming’ the vineyards to the art of making wine. In 1883, he bought his first 48 acres in the Livermore Valley, southeast of San Francisco Bay, and started to cultivate grapes. In the early 1900s, the second generation of Wentes were instrumental in bring first growth vines and clipping form France and helped found the California Wine Institute. The Wente family was the first to label a California wine bottle as a Chardonnay wine varietal. Their early work with the California Agriculture Commission to develop grape vine root stock adaptable to California’s climate has resulted in 75%-80% of all California Chardonnay to be based on the Wente Clone of Chardonnay. The years of contribution has earned Wente Vineyards the distinction as California’s First Family of Chardonnay. Wente Vineyards has been producing exceptional wines for over 130 years and is the oldest, family owned, continuously operated winery in California. For five generations the family has cared for its land and was always concerned about the future. Today that care was validated by receiving Certified California Sustainable Winegrowing (CCSW) designation. Sustainable certification is a recent California movement to highlight the commitment of a Winery to protect the land, something the Wentes have done as a matter of responsible stewardship of the land and as good business practices for the last 132 years. 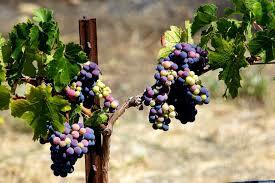 As early successful vintners, their legacy is intertwined with the history of the California wine industry. 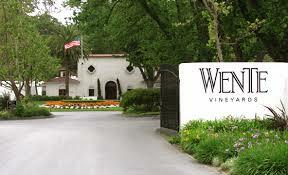 Today, Wente Vineyards includes over 2,000 acres in Livermore and almost 1,000 in Arroyo Seco near Monterey, CA. The Livermore property has become a wine enthusiast magnet and tourist destination, with its historic Wente Estate and Murrieta’s Well wineries, Vineyard Tasting Rooms, world class The Restaurant, featuring its own organically grown ingredients, a Greg Norman designed championship golf course, The Course, and the renowned summer concert series, The Concerts. See their website for more details, www.wentevineyards.com. I have had the pleasure of representing Wente Vineyards the last two years on Cape Cod as their local Wine Tasting Consultant. I have enjoyed presenting the wines to potential customers at our retail partners on the Cape. As part of my training, I have watched videos of the fifth generation winemaker, Karl Went, as he described each of the wines I have promoted. Recently in Seekonk, MA, I had the unique opportunity to meet with Karl Wente and taste 10 of his wines. The tasting was sponsored by Yankee Spirits of SouthAttleboro and Swansea, MA. Karl loving described each wine, relating how he created each, recalling the details of the how grapes matured through the growing season, and then how he treated them in the fermenting and aging process. He proudly recited the virtues of each of his creations. Karl’s presentation was engaging and entertaining, supported by only two visual aides, the first a picture of his immediate family, the fourth and fifth generation of the Wente Family, and the second a geographical map of the source vineyards for each of the wines. During the fascinating two hour tasting, it was easy to see the influence of his undergraduate concentration in Chemical Engineering and graduate degree in Viticulture. On one hand, he easily detailed the relevant technicalities of the “Brisk” level at harvest and his scientific decisions on fermentation temperatures and choice of Oak type for aging each varietal. On the other hand, he tried to explain the ‘YUM’ factor that was his final guide in his blending decisions. This was a wonderful lesson in the complicated science of wine making and a reminder that it is still very much an art handed down from generation to generation. As you can see from the attached picture, at 6’7’’, Karl Wente is a man I can, and have to look up to. Details about all the wines are available at the WenteVineyards web site. The wines are available at Yankee spirits and many other retailers in Massachusetts.